Light & Darkness Radio: Featured Today! "Finntroll, Alcest..."
L&DR library grow more and more everyday! Today I added new bands and the new Powerwolf album "Blood Of the Saints" so start requesting! I'll keep this short since I'm still working on adding more cd's and scouting so Here's Today Featured bands! Finntroll (FI) - Finntroll was founded in 1997, by Teemu "Somnium" Raimoranta (guitarist of Impaled Nazarene) and vocalist Jan "Katla" Jämsen. Their first demo, "Rivfader" ("Ripfather"), was recorded about a year later, in 1998. After the demo recording, drummer Samu Ruotsalainen (from Barathrum, Shape of Despair and Rapture), guitarist Samuli Ponsimaa, keyboardist Henri "Trollhorn" Sorvali (from Moonsorrow) and bassist Sami Uusitalo joined the band. The record label Spinefarm got interested in the band then, and made a contract, yielding the album Midnattens Widunder ("Monstrosities Of The Midnight") as a result. The next step for Finntroll was the album Jaktens Tid ("Hunting Time"), which was released in 2001. This album managed to climb to rank 20 of the Finnish album charts, exceeding expectation of band and publisher alike. The following wave of popularity attracted the attention of Century Media, which began promoting Finntroll for the rest of the world. The following summer, the band had their first time playing on open air festivals in Finland and other countries. The year after the release of the album Jaktens Tid proved to be a misfortune for Finntroll: some tours had to be cancelled, and in the aftermath of his problems, vocalist Jämsen had to retire from the band due to a viral-based tumor in his vocal cords which could not be removed surgically; he retired after the release of the EP Visor Om Slutet. Said EP was recorded in early January 2003, in a forest cabin near Helsinki. It was an "acoustical experiment", where Jämsen and the new vocalist Tapio Wilska (of Sethian andLyijykomppania) shared the singing duties among them. "Melodies of the End was released as a mid-price EP and held rank on the Finnish midprice chart for several weeks. On March 16, 2003, shortly before the release of Visor Om Slutet, guitarist Teemu Raimoranta died when he fell off a bridge in Hakaniemi, Helsinki. Although they had lost their last remaining founding member in this tragic event, the band did not dissolve, but after some time decided to go on, touring Europe for two weeks, supported by the band Katatonia. Guitarist Mikael Karlbom was hired as a replacement for Raimoranta. In 2004, the band released another EP, Trollhammaren ("The Trollhammer"), a prequel to the soon to follow album Nattfödd ("Nightborn"). This release earned them international acclaim and had the band embarking on their first North American tour, along with the influential thrash metal band Sodom in early 2006. During 2005, keyboardist Trollhorn decided not to play live anymore due to private reasons. A replacement for shows to come was found in Aleksi "Virta" Virta of the band Imperanon, whom he knew from Sibelius Music College in Helsinki, where Trollhorn had been teaching. After some auditioning and rehearsing, he became a steady part of the touring line-up. On January 29, 2006, Tapio Wilska, vocalist of the band since 2002, was fired from the band. In a statement issued on the band's website, Wilska states that he would like to keep the reason for his dismissal private. Following Wilska's parting with the band, they decided to take on Mathias "Vreth" Lillmåns of Chtonian and Twilight Moon as a full-time member on vocals. A new album, titled Ur Jordens Djup ("From the Depths of the Earth"), was released March, 2007. This fourth album put more emphasis on epic keyboard riffs with very loud but melodic guitar and downplayed some of the Humppa elements. Former vocalist Katla was brought in to write the lyrics for this album. The last song contains an acoustic hidden track entitledTrollvisan which can be heard at 11:03 minutes. It is commonly believed to be the installment's "Aamund och Kettil-Song", yet there is no mention of the two priests in the lyrics, the song rather refers to "de kristna" ("the Christians") in general. After being a session member on keyboards since 2005, Aleksi "Virta" Virta was made a full time member in late 2009. The band has recorded a live performance for its upcoming first live DVD. A release date is yet to be confirmed. They have released their fifth album, titled Nifelvind ("Underworld's Winds"), and Katla has again written the lyrics. The progress on the album was recorded by Trollhorn in a studio diary found here. On January 15, 2010 Finntroll released a music video for the new song "Solsagan" on their MySpace page in preparation for the album release. The new album was then released in February 2010. Alcest (FR) - Alcest was formed as a solo project by Neige in 2000. Soon after, the band became a three-piece black metal outfit, consisting of Neige on vocals, rhythm/acoustic guitar, and drums, Argoth on bass, and Aegnor (now known as La sale Famine de Valfunde. Famine used Neige as a session drummer and live rhythm guitarist in the early years of Peste Noire) on lead guitar. 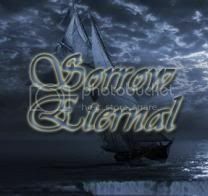 In 2001, the band released a 4-track demo tape entitled Tristesse Hivernale on Drakkar Productions in which Famine wrote the main riff of the song "La Forêt de Cristal". Not long after the demo was released, the band once again became a one-man entity, with Neige taking Alcest in a more personal direction. 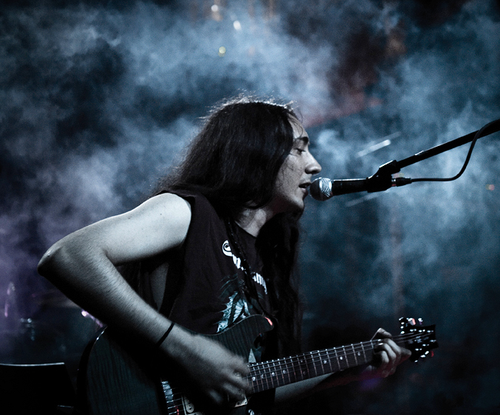 Neige, having originally formed Alcest as an outlet to create cold and raw black metal, moved away from the minimalist approach with the follow-up toTristesse Hivernale, entitled Le Secret. This EP, released in May 2005, is an introduction of sorts to the new concept behind the reformed Alcest. After having signed to Prophecy Productions in March 2007, Alcest's debut album Souvenirs d'un autre monde was released in early August of the same year, and drew comparisons with the likes of My Bloody Valentine and Jesu. In August 2007, Tristesse Hivernale was released by Northern Silence Productions in August 2007 as a split with French black metal band Angmar. Alcest's latest album, Écailles de Lune (Scales of the Moon), was released March 29, 2010.